Tottenham Hotspur are becoming more and more anxious that Jurgen Klopp’s Liverpool are poised to beat them in the race for Paris Saint-Germain star Adrien Rabiot this summer transfer window, a report has claimed. The 23-year-old star has been heavily connected with Spurs and a report in the Sunday Mirror states he was poised to move to the North London giants in a £20 million deal the previous month before the death of his father put transfer negotiations on the backburner. Manchester City, Chelsea and Arsenal have also been strongly connected to Rabiot, while Blaugrana’s management admitted in December that they had been in official contact over a possible move. However, news that Adrien will now leave Paris Saint-Germain as a free agent has alerted the Reds and the Mirror states Jurgen Klopp’s men are giving serious thought to an official approach for the France star. Reports on Sunday have again connected English star James Milner with a return to Leeds United and Rabiot could be the man to fill the veteran midfielder’s boots at Anfield outfit. 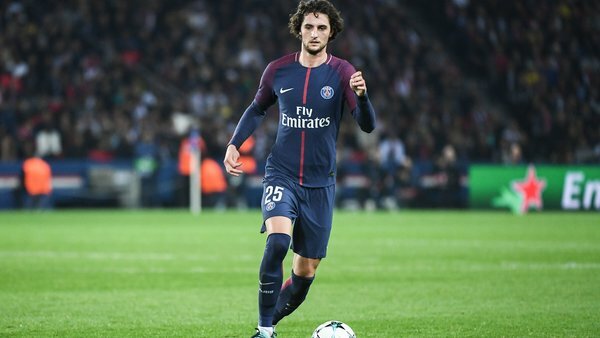 And the Mirror claims the opportunity to work under German manager would sway Adrien Rabiot to ditch a planned move to Tottenham Hotspur in favour of Liverpool. Paris Saint-Germain are now said to be extremely angry at seeing their hopes of claiming a sum for Rabiot in January window dashed and his exclusion from their senior-team roster is likely to continue for the UEFA Champions League trip to face Ole Gunnar Solskjaer’s Manchester United.